However, it can also be applied to customer education and specifically to building your customer education strategy. Remember, the priority of Customer Education is to enable users. But you should also keep in mind the fact, that your users do not want to learn your product per se, they want to do their job and do it better. After all, that is the reason they purchased your solution, right? The most enthusiastic people who care about every new feature of your product are the ones on your product team, but not your users. Of course, users will benefit from these features and updates, but you must tell and show them how. This is where your customer education comes in to bridge the gap. We could not agree more — people are buying your product to become better at their jobs and to solve the tasks at hand, not to learn every feature of your software. Therefore, you have to move away from feature focused training and dive deeper into more practical education. Who are your product users and how are they using it differently? You will most likely have a couple of user categories with different goals and priorities — this will help you understand what the best motivation for these people to use your product is. How will your product help your customer do their job? What use cases are they interested in? What is the “basic knowledge” your users need and is there an “advanced knowledge” further in your educational strategy? What will your users accomplish with your product? 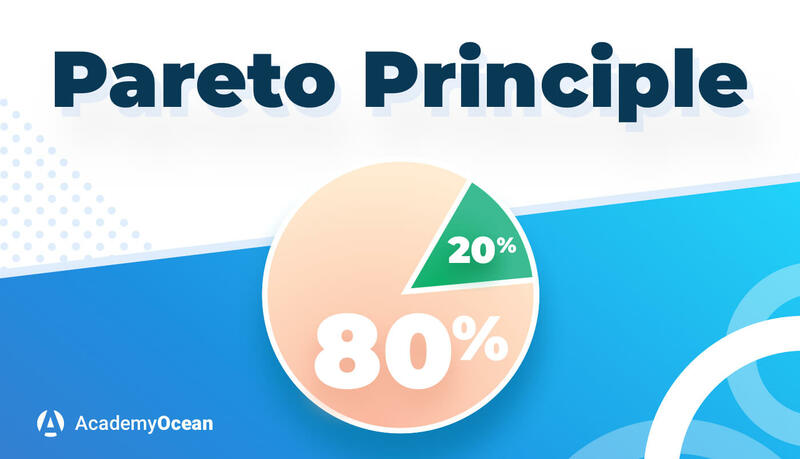 Now you need to apply the Pareto principle to your educational strategy. Do some research beforehand and find out the 20% of use cases of 80% of your customers. Even if you think your clients are unique, you will still find patterns after you talk to them. Your customer support team can also be of great help — they will give you 20% of cases where 80% of customers need help. Now you have a very clear idea for a set of lessons or courses covering these topics. Remember, people may use your product in very different ways, so you might want to design special courses for a very specific set of users and teach them how to use certain features of your product to achieve the desired results. If you correctly identify these key 20% and properly address them, you should see the law of the vital few in action. If you follow the advice in this article, you will eventually have content tailored for different groups of learners, who have different goals in mind. For example, you might have courses covering a very narrow topic for a very specific group of users, and at the same time, you will have a set of courses with a broader industry education designed for a much wider audience. If your educational content is not structured properly, it may impair the educational journey of your learners and lead to high churn rates. We addressed this issue with AcademyOcean’s Course Folder and Group features. Using those you will be able to create sets of courses and even whole educational sequences for your learners and guide them through your educational journey. Whether you decide to have a comprehensive product Academy or just a handful of educational content pieces, remember to focus on what your users are trying to achieve by using your product. Help them to their goal, and they will become your long-time customers or even product ambassadors.